Old Oswego in 1860s. Oregon Iron Company in foreground. 1st smelter. Friends of library. Truchot. [stamp] Be. 0300, Leo F. Simon, photographer, 711 S.W. Ankeny, Portland. LO#84, OA#84. Description Negative in file. Bridge over Oswego Creek. Transcription Old Oswego in 1860s. 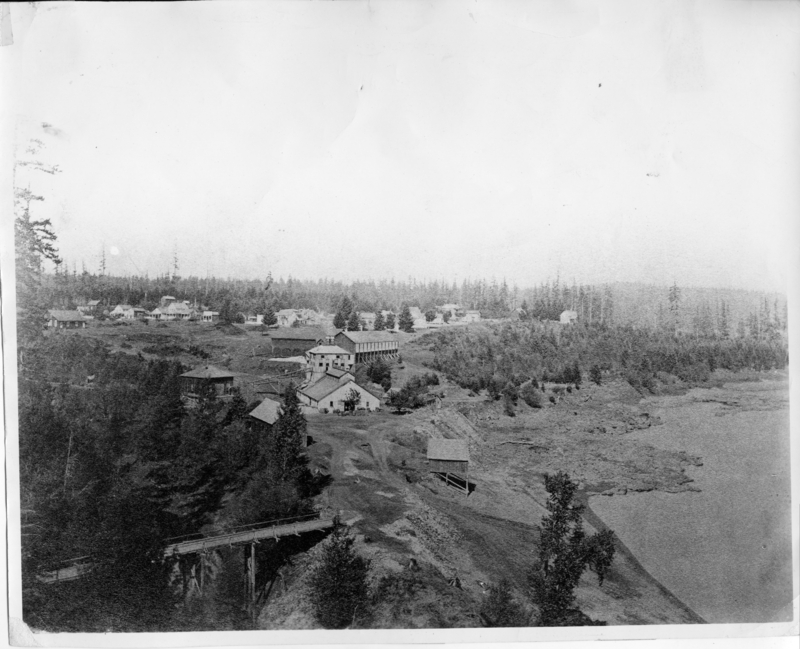 Oregon Iron Company in foreground. 1st smelter. Friends of library. Truchot. [stamp] Be. 0300, Leo F. Simon, photographer, 711 S.W. Ankeny, Portland. LO#84, OA#84.